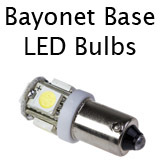 Bayonet Base LED bulbs. 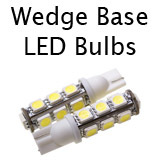 Single and double bayonet base. 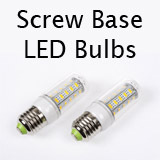 Push and turn type LED bulbs. 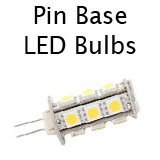 Pin Base LED Bulbs. 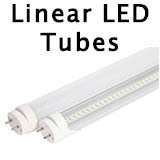 All shapes of LED bulbs with a 2 pin base. 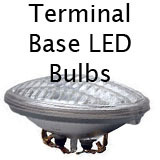 LED Bulbs with a MP Terminal Base most often used with sealed beam lamps.